French-born of Tunisian descent, Bilel grew up in a suburb of Paris and played in his early days for his local club CO Les Ulis, before moving to Mende, and then US Saint-Georges. After a return to Les Ulis, he switched to Sainte-Geneviève Sports and it was after this spell that he was tempted abroad to sign for Southend United in English League Two by former United player and manager Paul Sturrock. Three successful seasons at the Shrimpers, including a loan spell at Ipswich attracted attention North of the border and in the summer of 2013 he moved to Rangers. Despite some impressive on-the-field displays, Bilel's Ibrox tenure was mostly remembered for several unsavoury incidents, the last ultimately resulting in a seven match ban for excessive misconduct. 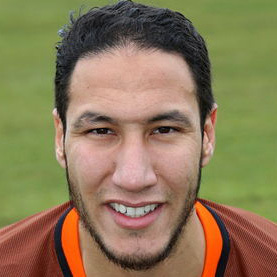 Following Sturrock's appointment as a United scout, Bilel was invited for a successful trial at Tannadice after which he signed a short term deal until the end of the 2017-18 season. He turned in a handful of inspiring performances at centre half during his short stay but ultimately left the club at the end of his deal, having missed out on promotion at the semi-final stage of the SPFL Premiership Play-offs. Bilel was born on this date in Paris, France. United’s poor home form continued with a 1-1 draw against Dunfermline Athletic. There were six changes to the starting eleven from the team which lost to Queen of the South so disappointingly, the most notable of which were the debut of Bilel Mohnsi as his international clearance finally came through and the full return from injury of Scott Fraser. Willo Flood, Matty Smith, Harry Lewis and Jamie Robson also returned to the starting line-up. Deniz Mehmet, William Edjenguele, Mark Durnan, Paul McMullan, Thomas Mikkelsen and Billy King were the players to drop out. The changes saw United start the game in an unfamiliar 3-4-2-1 formation, which by and large seemed to work as the game saw a United performance which was much better than the ones in the two preceding home games. United suffered a fifth straight game without a victory as they were held to a 1-1 draw by Morton at Cappielow. 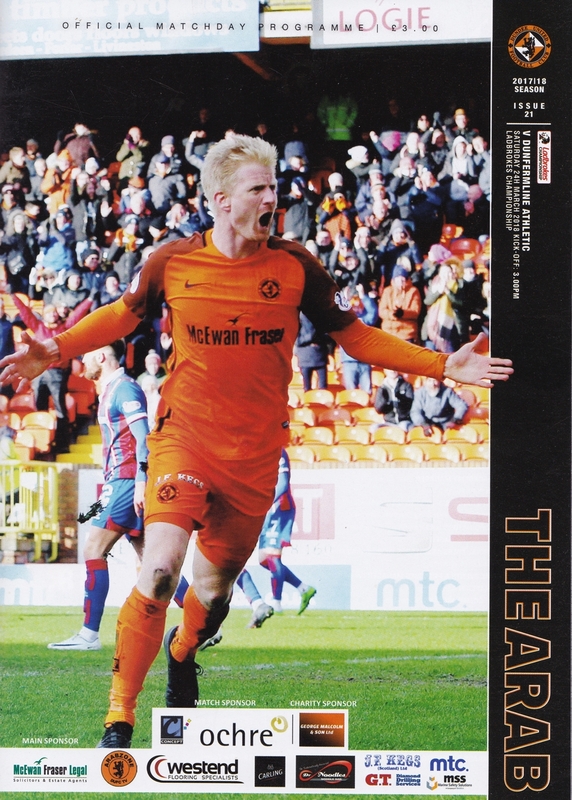 Unlike in many of their previous games, Dundee United could consider themselves unlucky not to get the win in a game they largely dominated, with only a combination of wasteful finishing and good goalkeeping preventing them from scoring more than one goal, before being hit by a sucker punch with virtually the last kick of the game. United managed to avoid becoming the first side to suffer a league defeat to Brechin City this season as they produced a 5-0 victory over their spirited opponents, who despite the scoreline actually caused United no end of trouble, especially in the first half of the game. United’s season ended in disappointment as a 1-1 draw at the Tony Macaroni Arena was insufficient to overturn the first leg deficit to Livingston. The aggregate defeat consigned United to a third year in the Scottish Championship, and on balance the side from West Lothian fully deserved to go through to the next round to take on Partick Thistle.